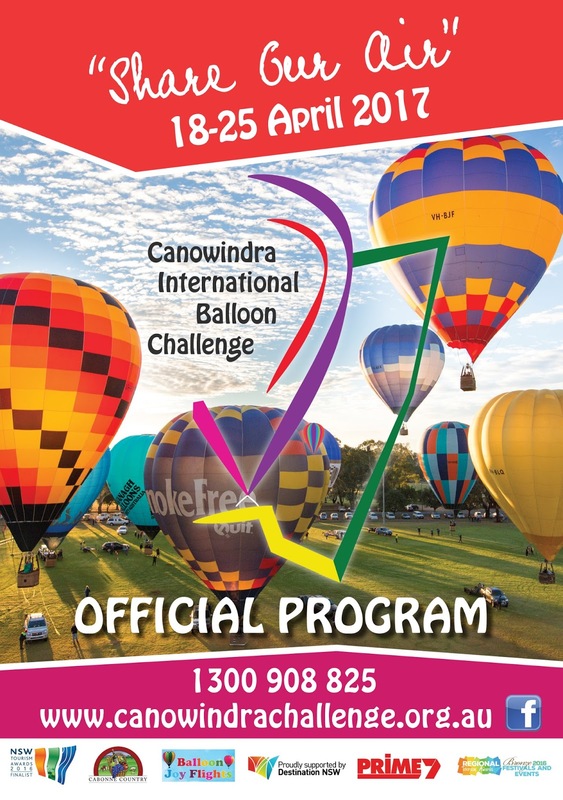 Check out the 2017 Canowindra International Balloon Challenge Program hot off the press. Entitled “Share Our Air”, the program embodies the essence of the event which will draw visitors from far and wide and locals out and about for a huge week of balloon chasing fun from 18th to 25th April. The program kicks off with an official welcome from Graham Kerr, Canowindra Balloon Challenge Inc Chair, and Ian Gosper, Mayor of Cabonne. Visitors and locals alike are invited to enjoy the abundant pleasures including local food, wine and hospitality. We encourage you to experience all that is on offer including a smorgasbord of culture, art, nature and fun. 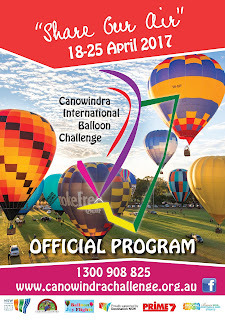 The perfect tool to successfully plan your visit to the Canowindra Balloon Challenge, the program provides a full list of ballooning events, spectator events and the entire line-up for the Balloon Glow evening on the Saturday. Click through to the program page on the website and flip through to see the full program of events. Click through and then flip through to see what's on for the week.